This website is devoted to Contemporary Jewish history, from an International perspective. By contemporary Jewish history is meant the history of all Jewish communities post-Holocaust, and of their relationship to Israel, as portrayed in each community's own media and in national forums. Within each nation we take a special interest in the portrayal of Jews and Israel in the media and in the World Wide Web and social media. Topics covered include: the ongoing programs to delegitimise Israel; the Baltic States attempts to obfuscate the Holocaust; falsification of Israel demographics by denial of the predomination of Jews of or descended from the ancient communities of the Middle East; diaspora - Israel relations; Jewish media history. I lead the ANU Jewish Students Association in establishing and running as ANUJSS the NullaNullas a Childrens Club at Wallaga Lake Aboriginal Reserve. I was an activist in a conservation campaign leading to the proclamation of the Kanangra-Boyd National Park in the Blue Mountains of NSW. Was the author of the report The Scientific Case for the Conservation of the Byaduk Lava Caves and Environs submitted to Victorian authorities in a succesful quest for protection. Left leaning media in Australia have given the BDS movement media support without limit in Australia, leading to a series of most ugly boycott demonstrations against some retail businesses linked to Israel - notably outlets of chocolate retailer Max Brenner outlets and cosmetics supplier Seacret. These demonstrations with their ugly violence and harassment of innocent shoppers have been a gross affront to Australian values of civility and fair go, and despite the media spin have lead to counter-demonstrations by traditional Australians. The first Brisbane counter demonstration was on August 27, 2011, and is reported here. A similar counter-demonstration is took place in Melbourne just days later. What is striking is that these emerging groups comprise ordinary Australians, only a few if any Jews are involved. In contrast to street demonstrations and counter-demonstrations, throughout 2011 and 2012 Labour Federal frontbecher Michael Danby sat down in avarious Max Brenner stores for chocolate with various prominent Australians. 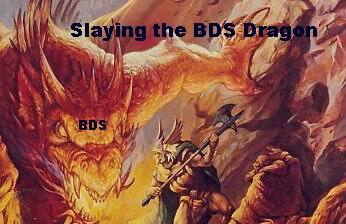 By mid 2012 it is generally acknowledged that the BDS demonstrators -- with their notorious anti-semitic chanting -- had become counterproductive in Australia. Far beyond the Nazi and Soviet antisemitism of mid Twentieth Century, a vicious antisemitism claiming to be anti-Zionism developed at the end of that century. As the basic premise of anti-semitism is that Jews are lying and manipulative, this hatred of Jews is combined with the claim that its just the nasty Jews who describe them as anti-semitic -- whereas these defamers claim to be true Human Rights Warriors. Its shameful that the United Nations, which Australia's "Doc" Evatt played such a leading role in establishment should be used as a prime vehicle for the dissemmination of such anti-semitism. But the extremity and bizareness of this new anti-semtism produced a backlash, with the formation of various citizen groups of Voices for Israel towards the end of the first decade of the Twenty First Century. NZ Friends of Israel Activity since 2006. Incorporation date unknown. Australian Voices for Israel, launched Melbourne September 5, 2011. AU4I - Australians United for Israel Launched Melbourne November 16, 2011. Australian Friends of Israel (WA) Launched Perth, August 8, 2010. What was perhaps the most strikingly successful launch of an Israel support group, took place in Western Australia (WA). Perth has a Jewish population of 9000; at the launch of AFOI(WA) there were 1500 present, of whom only around 300 (20%) were Jewish. What is really going on in the Jewish World and the Middle East. How to bypass the spin of an often bigotted anti-Israel media. The actual history of the establishment of Israel . Sources -- written and online - of reliable information. Israeli society, technology, and humanitarian achievements. Just what is being broadcast in Arabic. This is an amazing series, of one hour discussions in English, downloadable as podcasts. Each episode is a unit of Contemporary Jewish History presented in a deft manner, by Australian presenters who embody the complexity and plurality of the Australian Jewish Community. Presenter Gabby, born in Budapest, where members of her family still live, with close relatives elsewhere in Europe, has Australian post-graduate qualifications. Morry born in Australia, a graduate of Tel Aviv University, served in the IDF during the Yom Kippur War. Contrast and balance is provided through interviews with a range of visiting experts, with interludes of Yiddish and Israeli music. The series, The World and Us, was broadcast weekly on the first Melbourne Jewish Radio station, Lion FM 96.1, 1910-11. Outlines of broadcasts and some suplementary material available at the podcast site. Dovid Katz's term, the "obfuscation of history" is well exemplified by looking at the case of the small town of Rokiskis, in Lithuania, north of Vilnius/Vilna. This is a town with a Jewish population for more than four hundred years, but bereft of Jews today. The regional museum has displays that equate Stalin with Hitler, equate communism with nazism, and glorify as local heroes the right-wing "partisan" group, initially called the LAF, that collaborated with the Eizengruppen in the extermination of the Jewish 40% of the local population. Later in the war this group fought with communist partisans, whose membership was open to Jews. The Jewish contribution to the history of Rokiskis is ignored except for one token reference. This online Journal, the very first issue of which was issued in 2010, is certainly the first devoted to Contemporary, post-Holocaust Jewish history. The publisher is the Italian organization Fondazione Centro di Documentazione Ebraica Contemporanea aka CDEC . The next issue, edited by Cristian a Facchini is devoted to Modernity and the Cities of the Jews. This monographic section (Focus) of the first issue of Quest is dedicated to the study of post-Holocaust European Jewry, a theme that only in very recent years has begun to be the object of systematic scholarly research. 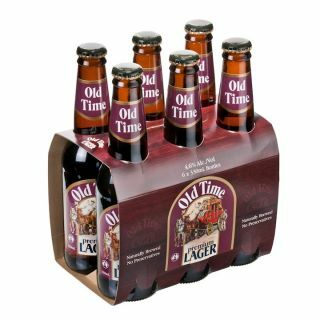 The turning point was of course the end of the cold war. In the early Nineties the palpable sense that new challenges were taking shape lead Jewish intellectuals to tackle, on the one hand, delicate issues regarding the future of the Jews and, on the other, opened new possibilities for historical research. This is an important resource on the state sponsored obfuscation of history that is being developed in the Baltic States. Careful descriptions of the process are made by Dr Dovid Katz. It is noteable that the site is also available as www.HolocaustInTheBaltics.com. Extensive Lithuanian sources are included, but because of the use of machine translation, these sources are difficult to read. The Jewish people survived as a despised people living apart in Europe and as dhimmi in their ancestoral Middle East homelands for centuries. With the enlightenment Jews joined in mainstream European life -- and there was a great burst of Yiddish Culture. In parallel during the Colonial era, European influence in Muslim lands both eased the disadvantages of the Jewish (and Christian ) dhimmis, as well as providing the opportunities of growth and capitalism. But then ... Almost 50 % were lost in the Holocaust, and post Colonialism rampant Arab nationalism drove out the million Jews that once populated Middle East lands. So the Jews now live In Israel, in Europe, in the Americas, Australia. Can the Jewish communities outside Israel survive ? And what else ? Can Jews survive in Europe when talk of a Jewish Problem is not politically correct, but it is so so correct to promote the destruction of Israel itself. And when immigrant minorities with rampant antisemitic attitudes are gaining political clout. Just what are the factors for and against continuity ? What actions can community institutions take to truly foster continuity? Are Jewish Schools necessary and sufficient, or unnecessary and yet insufficient ? Should communal funds be firstly invested in Birthright Israel sponsorship, or is that Soul Fusion supplies the answers. In this section we link to both recent surveys of the Now, and to the emergent Plans and strategies of the Now to foster continuity. An documentary film is under development with an Australian producer/director aiming to graphically detail how the Lithuanian state is actively rewriting history. A promo for this documentary is on the website, www.Rewriting-History.org. Click on the logo to left for details and scope of this significant project. In March 2011 Liberia, Gambia and Sierra Leone issued (simultaneously) a set of three commemorative postal sheets devoted to 12 Jews � men and women � who fought Apartheid and racism in Africa. An excellent video documentary overview of the history of the Jews in South Africa is now online. The crucial feature of the South African community is its predominate link with Lithunia, where Jews had lived before Christianity arrived. However with the expansion of Russia to incorporate Lithuania, the native Jews, called Litvaks, came increasingly under repression, which culminated in a series of pograms starting in the nineteenth century. Litvaks with their own experience of repression have lead the fight against Apartheid. Rebecca Weiner's written overview of the history of the Jews in South Africa is online. In the fight against Apartheid in South Africa individual Jews played a leading role, although in 1970 there were only 119,000 Jews out of a total population of 22 million, but perhaps 2.5% of the governing population. In Australia where Jews are similarly sparse comprising just 0.4% of the nations population -- Jews number amongst the significant political and legal activists on behalf of Aboriginal rights. 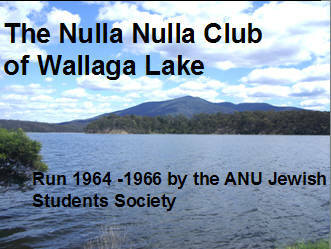 However in Australia there is a further element of involvement starting in 1964 when a mainline Jewish Organization -- the Australian National University Jewish Students Union - became directly involved with the isolated Aboriginal community of Wallaga Lake. What was different about the social contract in Australia that made possible Jewish organizational activties that were inconceivable in South Africa prior to the 1980's? Clues to the last question. In the period 1946 - 1951 the Anglo countries and South Africa displayed a most ambiguous response to the emerging Jewish state, with top leadership professing support, but vital government agencies in vigorous opposition. 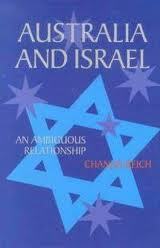 In his book (right) Chanan Reich introduced the term ambiguous relationship for the initial Australian diplomatic relationship between Australia and Israel, but the term well covers broader aspects of the relationship of the Anglo countries to Israel. Of special interest is the extent to which material support, whether made-up clothing, animal feed, or potential war materials were prevented from export from Australia to Israel. Just six aircraft from Australia were acquired by Israel 1948-9, but another 80 war surplus aircraft purchased by Australian Zionists could not be exported to Israel even as scrap. 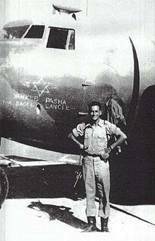 This Douglas DC-5, Called the Yankee Bagel - Pasher Lancet, served in the Israel forces 1948-9. The DC-5 had been registered in Australia as VH-CXC before its export to Israel in May 1948, immediately before a UN arms embargoe came into effect. Some other Australian planes which were used to bring migrants to Australia were acquired in Europe.